If you're an employer looking to organize a fun event between you and your staff, search through our directory of companies and services that offer team building activities for the workplace in NY. Book the most fun team building activities for work in New York that you and your staff are bound to enjoy! 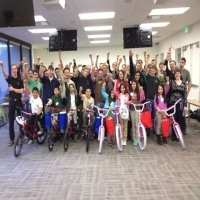 Build Team Morale with Grand Prix Racing! Are you looking for an exciting, effective, and unique way to boost morale in your company? Grand Prix New York offers team building programs in which each team will learn to communicate effectively, perform under pressure, and improve problem-solving and leadership skills. All programs are designed to maximize people's strengths and develop their weaknesses. One of the activities is the Team Building Endurance Challenge in which a race team is formed, and each member contributes specific strengths to help the team become successful. Each member can either be a driver or strategic team manager. Inquire about Grand Prix's wonderful building packages today! Fun And Intense Team Building Activity At Mohonk Mountain House! 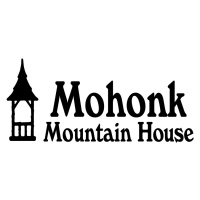 Mohonk Mountain House is a fun and amazing place to have a team building activity. Located in Upstate New York, the place is a wonderful sight to hold a corporate event such as team building. Mohonk Mountain House offers fun activities where colleagues will learn to work together and at the same time enjoy the fun and intense activities. Each activity is designed help colleagues work together which helps them build a good working relationship with each other. Mohonk Mountain House is a preferred destination among companies where team building is fun and a great learning experience. Build A Working Relationship To Achieve Success! Watson Adventures Scavenger Hunts offers scavenger hunt team building activities, designed to help colleagues collaborate and unite in one decision to achieve their goals. Renowned for catering its team building activities here in New York, Watson Adventures Scavenger Hunts works to provide excellent activities, where there is a positive result after each task is accomplished. So make your team building activity possible with Watson Adventures Scavenger Hunts and enjoy its fun and challenges where you will learn to work as a group in achieving success. Enhance Morale Among Colleagues At Team Building USA! Team Building USA offers quality and excellent team building activities here in New York, where colleagues work among each other to solve problems and achieve their goals. 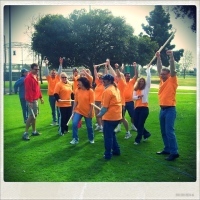 Team Building USA offers a variety of group activities designed to create an open environment where it practices good working relationships among the co-workers. Team Building USA will train everyone to work as a group and create good leadership skills of every employee making everyone a great leader and a follower. Learn To Work Together To Achieve Success! Here at Philly Hops colleagues will learn to work together and learn the ways of comradery. Their team building activities are designed to help build morale and good working relationships in order to foster development and understanding among co-workers. 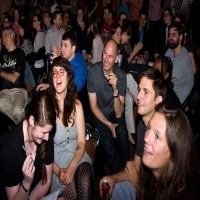 Philly Hops has many team building activities, each are unique and designed to foster collaboration and team work. Such activities include, cooking, scavenger hunt, treasure hunt and many more. So have your team building activities with New York's experts and you will be sure to see progress among colleagues. A Fun Team Building Activity With Team Bonding! Team building is a way for you to have some fun and exciting tasks to work on among your colleagues, where you will learn the essentials of unity and collaboration in achieving success. 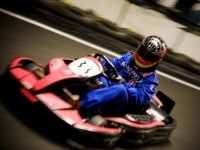 Team Bonding is a company that offers to plan out corporate team building activities. One of the trusted names here in New York, Team Bonding has many activities such as culinary team building, charity team building, scavenger hunts and many more. Also the team activity can be customized in order to suit the needs of the individuals who will be participating in the event. So plan your team building activity only with the best and the expert in the business, plan it with Team Bonding. 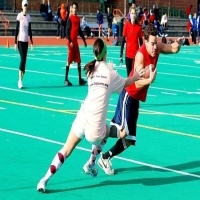 One way to help build a good working relationship among colleagues is to play recreational sports, and what better way to have a fun and exciting team building activity than with ZogSports, where they offer fun and exciting team activities for young professionals and co-eds here in New York. Learn the ways to team work and collaboration, and enhance your skills in planning and strategy with the help of ZogSports. Develop teamwork and unity among the group with a fun sport. Visit the website today and contact the league manager for reservations and inquiries. Team Building Activities With TrivWorks! Enjoy team building activities with TrivWorks where they offer fun and competitive activities where colleagues will have to use their brainpower and team work in order to answer tricky trivia questions. TrivWorks is one of the best organizers in corporate activities here in New York and have hosted several team building events for big companies. They offer a fun and unique experience that helps co-workers learn to work in unity and as a whole. So have your team building event organized by the best in the city, TrivWorks. Call them today and make your resrvations. Work Together As A Team To Achieve Success! Make your team building fun and exciting with Treasure Hunt Adventures. It is a fun group activity where co-workers have to find the key which is hidden somewhere in the camp grounds in order to unlock the treasure chest. The treasure hunting activity is based on the Scandinavian sport of orienteering where individuals have to utilize maps and a compass in finding key clues. Treasure Hunt Adventures is made to be highly physical and cognitive in finding clues and answers. The treasure hunt can last several hours to a full day depending on the preference of the group. A Team Building Activity That Aims To Educate And Collaborate! The Leader's Institute is the number one choice among large and small companies in New York. The Leader's Institute offers team building activities designed to educate and develop collaboration among co-workers, for them to learn to work together and cooperate with each other. There are a lot of team building activities that The Leader's Institute offers. Activities include build a bike, scavenger hunt, golf event, and rescue bear. All activities are designed to foster development in working relationships among colleagues. Have your team building with the experts in the business. Have it with The Leader's Institute where every activity is a new a fun experience. Enjoy The Company Of Your Colleagues! 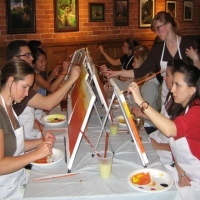 PaintNite offers a fun and unique team building activity here in New York, where co-workers learn to interact with each other and have a great time painting. It is an activity that aims to accomplish a good working relationship among colleagues and also it is here relationships are formed and strengthened. Book a reservation at PaintNite and make your team building activity an amazing and colorful experience, where colleagues will learn to share ideas and knowledge.